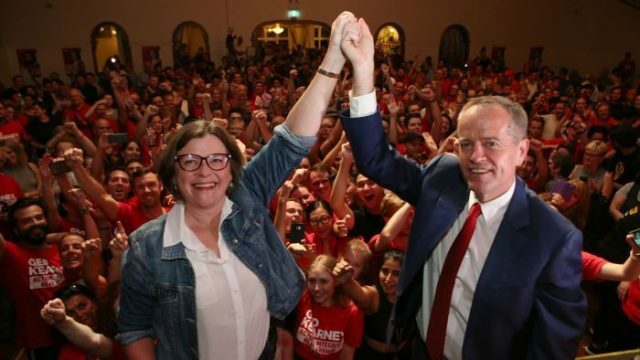 The by-election in Batman was essentially about whether Ged Kearney could position herself further to the left than Alex Blathan or whether Alex could put herself out of reach by being away with the kangaroos with Lee Rhiannon. Apart from that, the contest centred around who had the greater appeal to the inner-city latte and cappuccino sets, who could provide solutions to the Victorian problems with long and short blacks and who could cause waves among the flat whites. Ged carried the day fresh from her triumphs as President of the Australian Counter Turnbull Union despite wavering support from Bill Shorten who declared he was in favour of the Adani Mine provided it didn’t produce any coal and even though this policy might cost 10,000 jobs in Queensland it wouldn’t have the slightest impact on employment levels in Batman. Alex lost a Batman election for the sixth consecutive time and re-dedicated herself to the Greens’ cause by declaring her aim to beat Malcolm’s promised record of 30 consecutive losses plus. This is eminently achievable while she still retains the support of party leaders with a believability problem as big as Richard di Natale who go round assuring everybody that she can’t lose. Ged scored heavily with policy initiatives like forcing the banks to become super competitive by offering a 10% bonus on cash withdrawals. She also came out strongly in favour of ACTU Secretary Sally McManus being made a High Court Judge. This would lend added authority to her assertion that it’s ok for unions to break the law and would protect her from a charge of incitement. Options were limited to voting for an extreme left Labor or Greens candidate, Animal Justice, Rising Up, the Australian Conservatives or paying $50 – it’s so difficult to resist a bargain as good as that. There is no question that Ged commanded a huge female vote through her advocacy of the concept that no man should make love to a woman until she’s said “yes” at least three times. It was fascinating to see how Jay Weatherill came out of the SA election with a permanent power cut. Instead of calling in Elton Musk he would arguably have been better off with a Duracell. Nick Xenophon is still seeking his true level in the political spectrum. His slide from federal politics has carried on through the state level but he remains absolutely confident of success on a local council. The Greens are due for a major policy rethink. The public is simply not going to buy their policy of a phasing out of petrol cars by 2030 and from 2025 restricting petrol stations to selling the smell of an oily rag. Coalition supporters were ill-served by the Batman by-election. Their options were limited to voting for an extreme left Labor or Greens candidate, Animal Justice, Rising Up, the Australian Conservatives or paying $50 – it’s so difficult to resist a bargain as good as that.